Chip Tuning Solutions offers total remapping solutions using the latest Tuning & Diagnostic equipment to meet all your driving and business needs. Chip Tuning Solutions was established in 2014 based on 10 years previous experience in ECU remapping. You can be assured that any advice you receive from Chip Tuning Solutions will be honestly given and the solutions implemented on your vehicle will be carried out to the highest standard. We are also pleased to announce that we have recently been accredited by the Institute of the Motor Industry (IMI) for what is the only recognised remapping qualification of its type within the motor trade. Are you looking to see what performance could be gained from Chip Tuning Solutions after applying an update to your vehicle? Click on the link below, to go to the vehicle finder page, where you will find the modifications specific to your vehicle. A Performance Solutions ECU remap is designed to improve Performance, Driveability and Efficiency without decreasing reliability & economy. The typical improvement in bhp of a Performance Solution remap is 30% for diesel vehicles and 10% for petrol. The software used by Chip Tuning Solutions is extensively developed and tested to work with other modifications and driving requirements. The EGR (exhaust gas recirculation) system is fitted to turbo diesel vehicles and can cause running problems. Chip Tuning Solutions offers a full EGR delete to avoid potential costly repairs caused by carbon build up. An EGR delete can be carried out with other solutions or alone. DPFs (diesel particulate filters) can become blocked causing damage to the engine under some circumstances. Chip Tuning Solutions can offer a DPF delete solution if required and this can be carried out with other solutions or alone. Chip Tuning Solutions is based in the Midlands and offers a fully mobile service covering England & Wales. A mileage charge may be applicable (see Terms & Conditions for more information). Our solutions carry a 14 day money back guarantee (see Terms & Conditions for more information). Chip Tuning Solutions is covered by full Public Liability Insurance and we are fully insured to drive your vehicle. 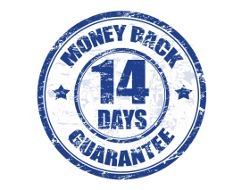 Our solutions carry a 14 day money back guarantee.